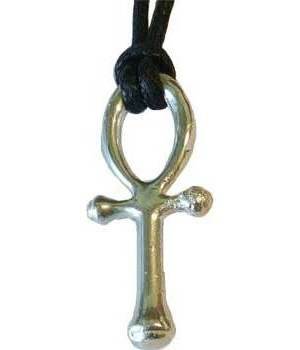 This stylized ankh is smooth and is a benevolent symbol of the key to the eternal life and strength in this life. Pewter Ankh amulet, 1 3/4". with cord. Made in U.S.A.